Have you wondered if you could take a toddler to a restaurant and have a good time without relying on an iPad for entertainment? This is absolutely possible as long as you have the right expectations, a sense of humor, and a desire to build family memories. In the “old” days when our kids were toddlers, there were no iPads or smart phones so we thought we’d share some ideas to keep your toddler engaged in a restaurant. Before we go further, understand this: when you go to a restaurant with your toddler(s), you are “going out to eat,” NOT “going dining.” Always have the back-up plan that at any time, if needed, you will convert the entire meal to “take out” status. As long as you accept this backup plan, you are set. Take a look at restaurant coupons to see if you could save at your local restaurants; making it even more manageable. Choose the restaurant wisely. You do not have to eat junk food or “fast” food. Many restaurants with really yummy and nutritious cooking can work for families with toddlers. An important feature to look for: the restaurant offers high chairs or booster seats. If it does, you can infer that the restaurant is “toddler friendly.” Without this attribute, attempt to eat at this restaurant at your own risk and don’t say we didn’t warn you! In addition, find out if the service is fast or slow. Even some “family friendly” restaurants have slow service- this is asking for trouble. Avoid these establishments. Set the stage. Teach your children how to behave in a restaurant. Play restaurant in your house. Practice “Yes, please” and “No, thank you.” Tell them how they will get to make a choice of what to eat and unlike at home, to try a variety of foods at one meal if you all order something different. 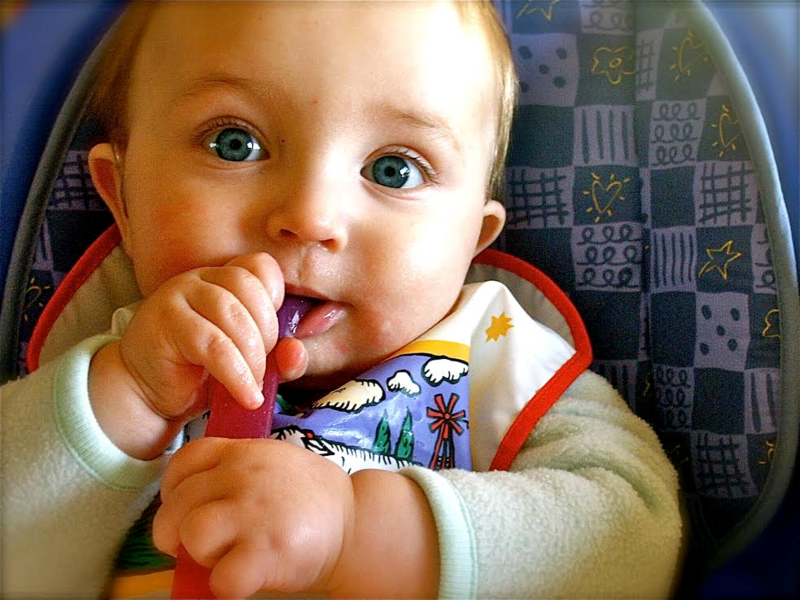 Have reasonable expectations: Research the menu beforehand to make sure you will find something on it that your toddler will eat. Alternatively, just bring your own toddler meal with you and take it out once your own food arrives. Or bring toddler “hors d’oeuvres” that will not spoil his appetite but can be used in emergency if the service is slower than you expected. Examples are thinly sliced apples, portable fruit cup packed in juice, or a stash of low-sugar cereal such as Cheerios® to hand out very slowly. If the wait staff is young, they probably are not familiar with toddlers and may not understand that waiting is difficult for young children. Ask for your check to come with your food. Consider skipping appetizers so that everyone’s food comes out all at once. Usually toddlers are not happy waiting for food while their parents munch on arugula. Focus all of your attention on your children. Going to a restaurant with toddlers is not date night, it is family night. Help your toddler be successful at waiting for the meal to be served or at waiting for everyone to finish eating. Bring along one or two (not the library!) favorite books that either your toddler likes to flip through or likes you to read to her. Bring some paper and crayons – many “family friendly” restaurants supply these but it’s always better to be prepared. My oldest was always entertained with a small matchbox car. We could draw roads for the car on paper or he would just drive the car along the table edge or chair – anything can become a road. Play games such as “I Spy” with your toddler to pass time while you wait to order or wait for your food. “Where is the man wearing a hat? Where is the picture of the fish?” Talk about the restaurant. Point out where the kitchen is. Point out the food servers: “They write down what we want to eat. They bring us our food!” Point out the bus crew “See, they are cleaning up!” Count the tables. Count how many babies are in the restaurant. Convert items on the table into make-shift toys. Developmentally toddlers love putting things into other things. Put the pretty pink sugar packet and the white packet into a cup. Dump them out, and do it again. A paper placemat can be scrunched into a ball to roll around. And with a little paper folding, you can make a cootie catcher for pinching little noses. Also, there’s nothing more fun than touching ice sliding around a plate. We do not recommend walking around the restaurant while waiting to be served because of the potential danger of crashing into a waiter or waitress. Certainly one parent can walk outside with a toddler and the remaining parent can call/text when the food comes. BUT remember, if you are in the habit of all sitting down for at least one meal a day at home, it will be natural for all of you to sit together in a restaurant, and a luxury for the parent who does the most jumping up and down during a home-served meal. Restaurants are not only for dinner! While my twins did not eat out much as toddlers (hassle factor outweighed the fun factor), we did note that they ate the most food willingly over the longest period of time at breakfast. So we occasionally went to a local deli for Very Early Weekend Breakfast where they could feast slowly on enormous delicious pancakes and my husband and I could enjoy some coffee while it was actually still hot. Bonus: we even could talk to each other because of the concentration my twins paid to picking up every piece of pancake on their own. Help clean up, and give generous tips. You want to endear yourself to the restaurant staff. It’s great when the wait staff WANTS to serve you when you return (“Oh, it’s that great family with the really cute toddler who loves my Elmo impersonation, says “thank you” when I bring her extra saltines, AND they tip well. That’s MY table!”). Build your toddler’s self-esteem: Praise your toddler for eating calmly, for sitting without yelling, for his patience: “Good job waiting for your food to come!” As soon as your toddler is done eating and running out of entertaining things to do while sitting at the table, the meal is over! Try to end on a positive note. Finally, if you end up with a toddler tantrum, just remember the back-up plan. Don’t kill the meal for the rest of the diners in the restaurant. Just pick up your melted-down toddler, convert to take-out, and try again another time. Rome wasn’t built in a day, and sometimes it takes a few tries of eating out with your toddler before you actually all have fun. Fortunately, God/Nature makes toddlers cute even when they are crying and covered in tomato sauce! Happy Birthday! 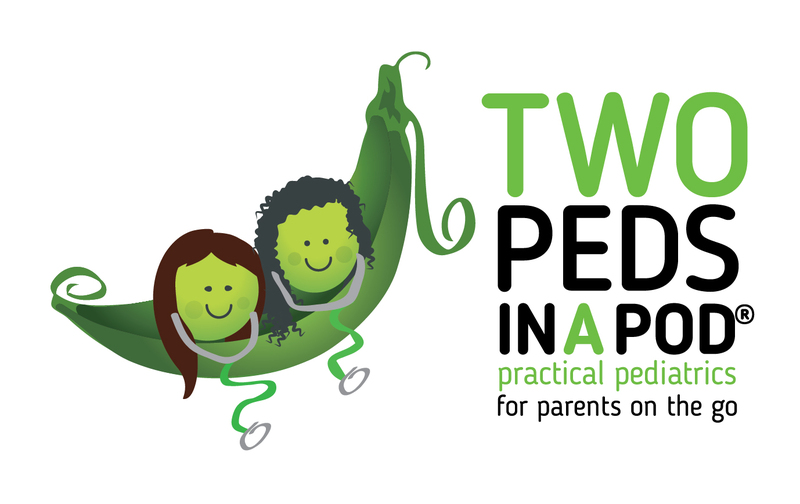 Two Peds in a Pod turns Six! Might I add, as soon as you order your food, ask for the check and pay the bill immediately. Just in case you need to leave in a hurry, you won’t be waiting around for the bill.